Men in Fleming Island, Florida want to look and feel their best, just like women. So why don’t more men check out their local medspa? 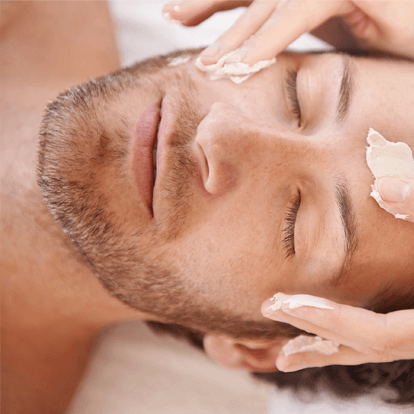 Here at Refine Medical Spa, we extend a warm welcome to men who want the latest scientifically proven treatments for better skin. Our doctors and licensed providers offer a large selection of medpsa services for men. Learn more below. Neuromodulators like Botox®, Dysport®, and Xeomin® have the ability to drastically reduce the signs of aging and sun damage. Fine lines and wrinkles fade away with a simple, painless injection. Lines between the eyebrows and around the mouth are common for men. Getting a Botox injection will fill in those lines, making you look years younger. Not sure if Botox is right for you? Call (904) 541-3055 today to talk to one of our experts. Dermal fillers like Juvéderm®, and Restylane® are also used for anti-aging treatments. As we age, the skin tends to lose its elasticity and fullness. A dermal filler is an injection of a specially formulated medication that can restore elasticity and fullness in the face. Laser hair removal may be one of the most popular medspa services for men. Unwanted back hair or chest hair is gone in a snap with gentle laser therapy. An essentially painless laser emits a high energy light that penetrates deep into the pores to prevent regrowth of hair in unwanted areas. It’s safe and highly effective. Another popular laser service we provide for men is skin resurfacing. If you have areas of scarring, redness, uneven tone or texture, facial skin resurfacing with laser light therapy can help. You may be able to finally achieve blemish-free skin like never before. What man doesn’t want a massage? No matter what line of work you do, there is always a need for relaxation. And many men don’t take time out for themselves. The hour or so that it takes to get a massage is well worth it. Massage therapy not only relaxes tense muscles, it improves circulation, balances hormone levels, and restores energy. We offer many types of massage therapy. To ask a question and book an appointment, please call Refine Medical Spa in Fleming Island, Florida at (904) 541-3055 or use this form to contact us.